Arthritis Awareness Week – Arthritis Cream Sale! Sunday 28th of May is the start of Australian Arthritis Awareness Week. 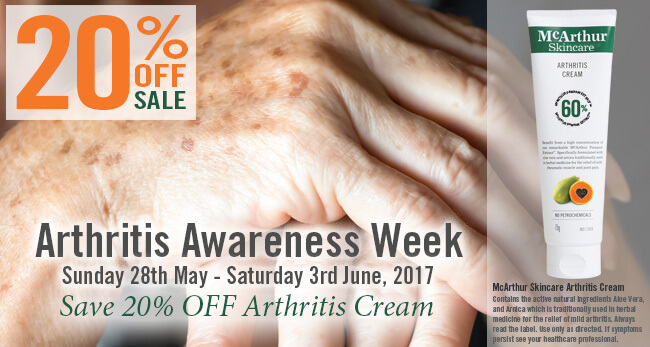 To recognise this special awareness week, McArthur Skincare has reduced the price of our popular Arthritis Cream by 20% OFF until midnight Saturday 3rd June, 2017. 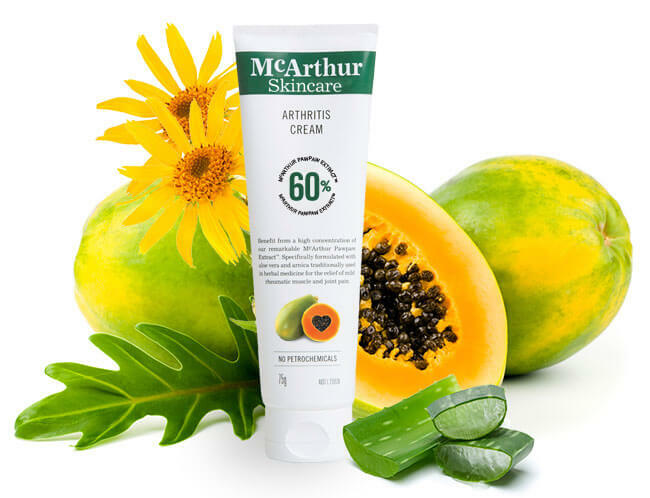 Packed with natural active ingredients the McArthur Skincare Arthritis Cream contains the active natural ingredients Aloe Vera, and Arnica which is traditionally used in herbal medicine for the relief of mild arthritis. The McArthur Skincare range of skin, body and hair care products all contain our unique McArthur Pawpaw Extract™. 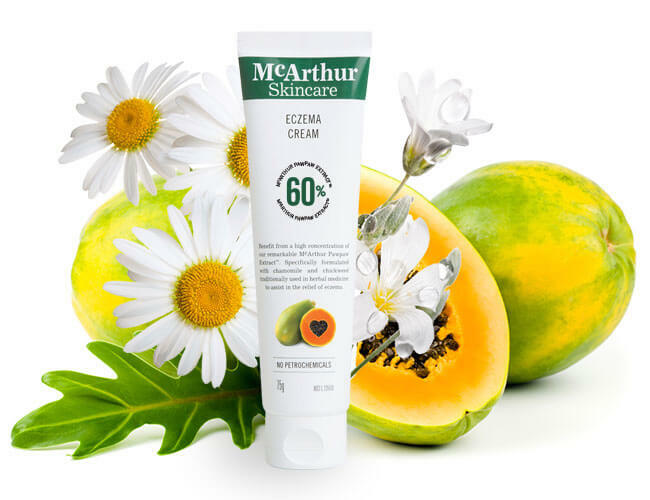 At McArthur Skincare we refined McArthur Pawpaw Extract™ enabling us to create the only cream with 60% Pawpaw extract concentration which is the highest concentration of Pawpaw extract in creams than any other Pawpaw skincare brands. Use coupon code: AC20OFF at the final stage of checkout to save 20% OFF Arthritis Cream. This offer is not available in conjunction with any other offer. Sale offer expires Midnight (AWST) Saturday 3rd June, 2017. Need assistance ordering? Phone our friendly team on 1800 729 729 otherwise click the SHOP NOW button to order safely and conveniently online. The Arthritis Cream, along with all our five therapeutic creams; Psoriasis, Dermatitis & Rashes Cream, Eczema Cream, Wounds & Burns Cream and Muscle Aches & Pain Cream are listed on the Australian Register of Therapeutic Goods. McArthur Skincare is a 100% Australian owned and operated company and each of our products proudly displays the Australian Made symbol on their packaging. McArthur Skincare stands behind the quality of our products with a Money Back Guarantee providing confidence and reassurance to consumers new to our range. Eczema Cream Now on Sale! Do you or someone you know have eczema or perhaps suffer from dry flaky skin? May is Eczema Awareness Month in Australia and New Zealand and the change to cooler temperatures can often cause our skin to become dry and flaky. This is the month to nourish your skin back to good condition through applying a healthy natural skin moisturiser, and avoiding the inflammation caused by Eczema. The McArthur Skincare range of skin, body and hair care products contains natural active ingredients and our unique McArthur Pawpaw Extract™. At McArthur Skincare we refined McArthur Pawpaw Extract™ enabling us to create the only cream with 60% Pawpaw extract concentration which is the highest concentration of Pawpaw extract in creams than any other Pawpaw skincare brands. The McArthur Skincare Eczema Cream contains the active natural ingredients Chamomile, and Chickweed which is traditionally used in herbal medicine for the relief of mild itchy, irritated and inflamed skin associated with eczema. This is a must-have therapeutic cream to keep on hand in any household, for itchy, irritated and inflamed skin. McArthur Skincare’s special offer this week provides you with a 15% OFF saving in our online store using the coupon code: SCRATCH15 at the final stage of checkout. This offer is not available in conjunction with any other offer. Sale offer expires Midnight (AWST) Wednesday 24th May, 2017. Need assistance ordering? Phone our friendly team on 1800 729 729 otherwise click the SHOP NOW button to order safely and conveniently online now.